They say the June weather on the Kansas plains can be unforgiving, and on Saturday Mother Nature obliged in making that true. 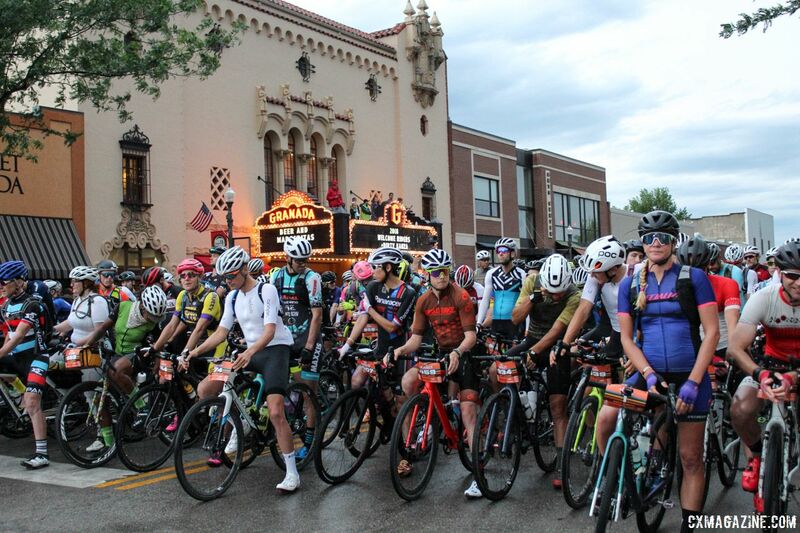 The 2,000+ riders getting ready to tackle the Dirty Kanza awoke to strong winds blowing through Emporia and lightning lighting up the surrounding Flint Hills. 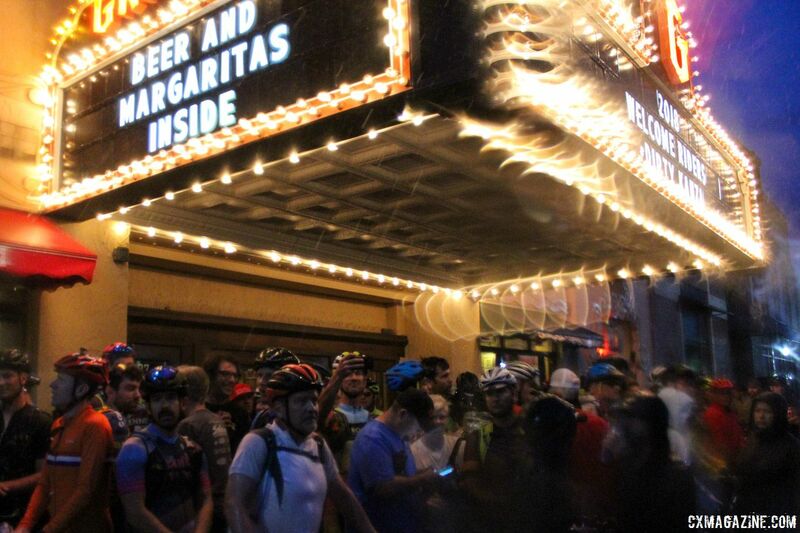 Many riders who drove in for the race had their cars and bikes pelted by hail as they made their way to Emporia. 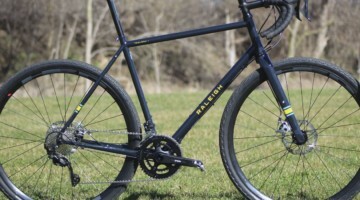 All is fair in love and gravel racing, after all. 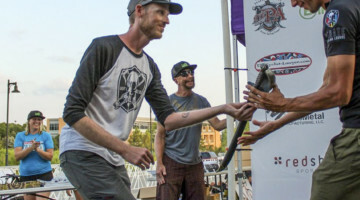 As early risers staked out prime starting spots, rain began to fall, and as they all scrambled for cover, organizers announced a 30-minute rain delay. Riders likely welcomed the brief respite from the Kansas heat while preparing for what the rains could do to make the 206-mile Dirty Kanza course even more challenging. 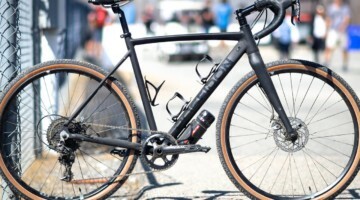 This year’s event was the biggest yet for an event that bills itself as “the premier gravel grinder”—a claim only the brave in the gravel scene would argue with. The Women’s field featured an impressive group of talent with its share of story lines to build the pre-race hype. 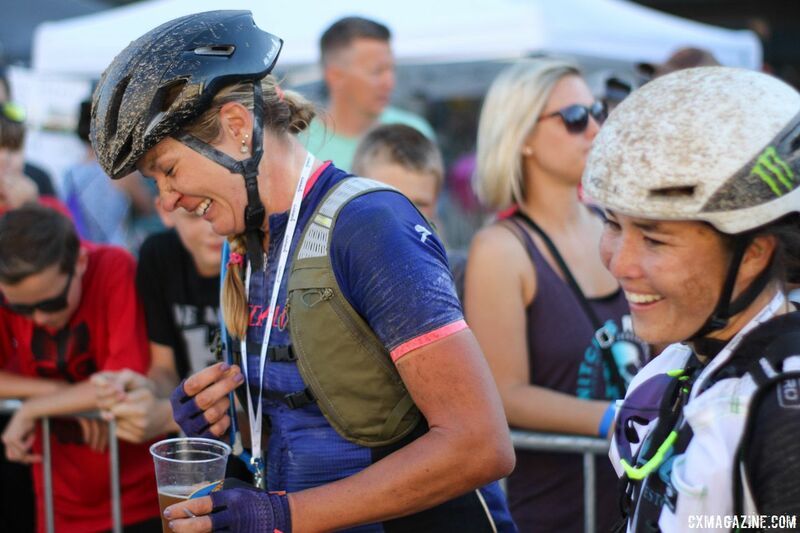 Last year, gravel newbie Alison Tetrick beat two-time champion Amanda Nauman in a sprint finish to take the crown as 2017 Queen of Dirty Kanza. 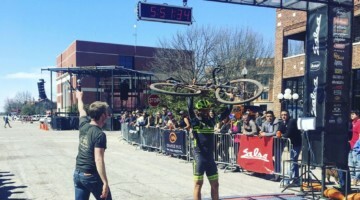 Tetrick received the last call-up alongside fellow 2017 winner Mat Stephens as one of the two riders given the honor of leading the Dirty Kanza 200 field out into the Flint Hills. 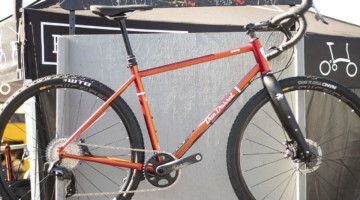 Nauman was right behind her ready to claim her third win at the famed gravel event. 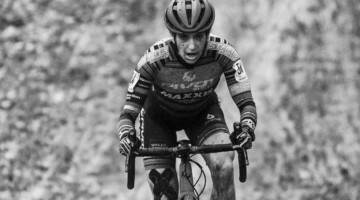 Joining the two recent winners was Kaitie Keough, whom we last saw finishing sixth at Cyclocross Worlds in Valkenburg. 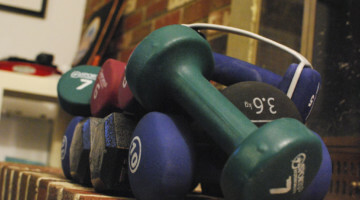 Keough chose the event as a summer challenge and immediately put herself in the conversation of potential winners. 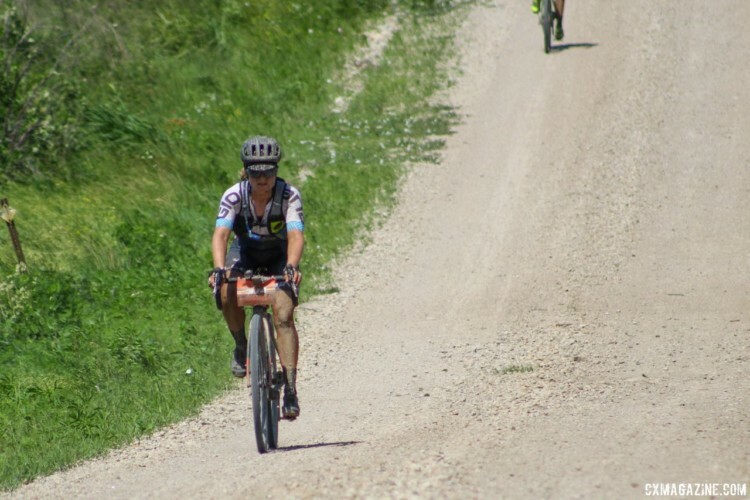 Land Run 100 runner-up Kae Takeshita also joined the front line to join the 206-mile gravel grind to come. 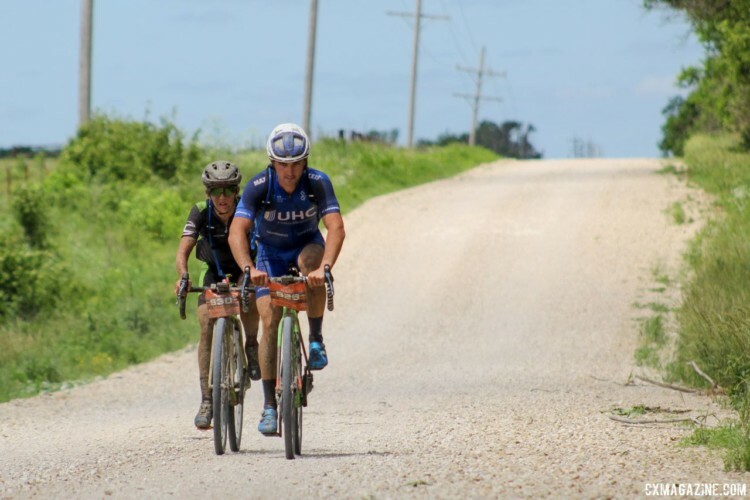 After the 30-minute wait, race director Jim Cummins counted down the start, and the massive field took off south down Commercial Street toward the 206 miles of unforgiving Flint Hills gravel that would decide the day’s affairs over the next 12 hours. 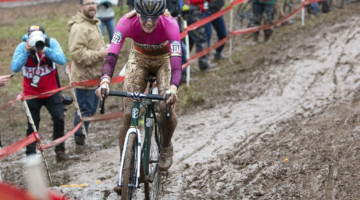 Once the course was in order, it was on to the race, which was a bit muddy in the quarter of the course. 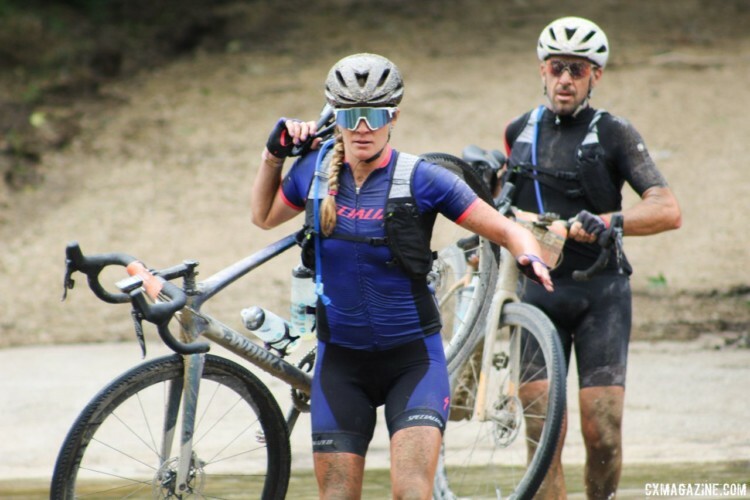 Not 2015 muddy, but the grit showed on many riders’ faces as they hit the route’s first big climb. 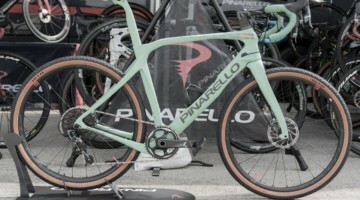 The biggest challenge for any rider with hopes of a good finish at a mass start gravel event is deciding how long to stay with the lead group. As Nauman pointed out when we spoke earlier this year, the upside of staying with the Ted Kings of the world is a nice early lead on anyone who cannot stay with the group. On Satuday, her words proved true, as the lead group of about 50 riders already had a decent lead on the first chasers 25 miles into the race. 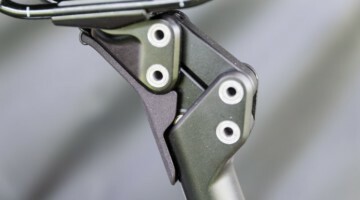 The downside, as Nauman noted after the Belgian Waffle Ride, is the potential damage from holding a high pace in the first quarter or half of a 200-mile bike race. 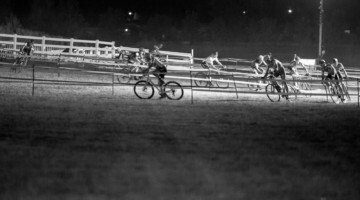 Early on, Keough and Tetrick joined the lead group, while Nauman followed close behind. 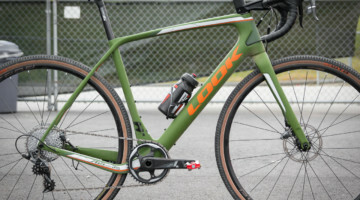 The race was not Nauman’s first DK200 rodeo and she is one of the best at pacing long efforts, so she showed little concern when she pulled into Checkpoint 1 two minutes behind the lead group that included Keough and Tetrick. 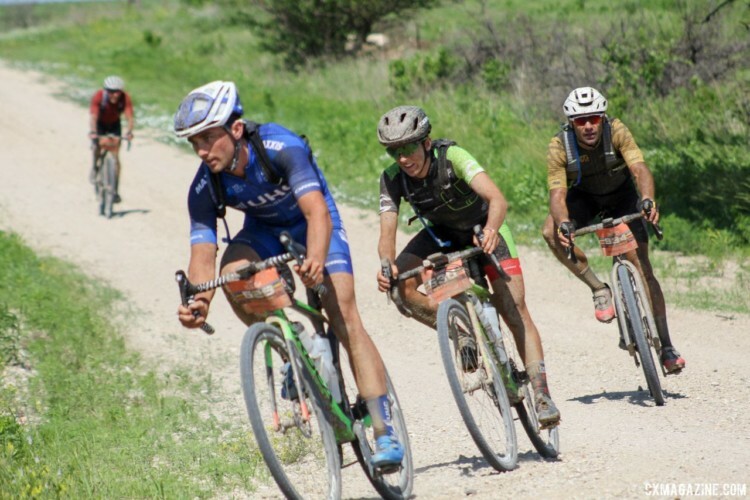 The Dirty Kanza course features anywhere between 8,000 and 9,000 feet of climbing, depending on the source, and a good chunk of it is concentrated in a 25-mile stretch after Checkpoint 1 where riders go up two big climbs between miles 65 and 75. The two climbs helped break up the lead group, with about 20 riders surviving the split. Keough made the first chase, while Tetrick, Takeshita and Nauman followed one-by-one behind her. An attack by King (more on that in the Men’s report) shattered what was left of the lead group shortly before Checkpoint 2 in Eureka, and with 100 miles to go, riders were largely left to fend for themselves. Halfway into the race, Keough was sitting in the best position. She pulled into Checkpoint 2 in Eureka with an 11-minute advantage on Tetrick and 13 minutes on Nauman and Takeshita. 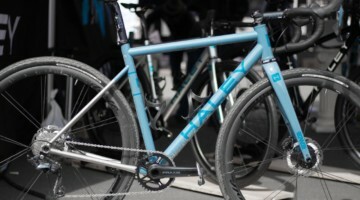 However, broken podium dreams litter the last 100 miles of the Dirty Kanza course, so there was plenty of racing to go. Pre-race forecasts were certainly ominous for riders tackling the DK200. Not because of the rain, which was a bit of surprise, but because of the strong winds predicted to gust out of the north. The Dirty Kanza course generally runs 100 miles south to Eureka and then 100 miles back north to Emporia. North winds meant nearly 100 miles of riding into a soul-sucking headwind. Unfortunately for the riders, the weather person’s prognostications came true on Saturday. After leaving Checkpoint 2, Keough teamed up with her husband and United Health Care rider Luke Keough and headed into the stiff headwind. Nauman, Tetrick and Takeshita also found small groups to ride with as they looked to battle back toward the front. 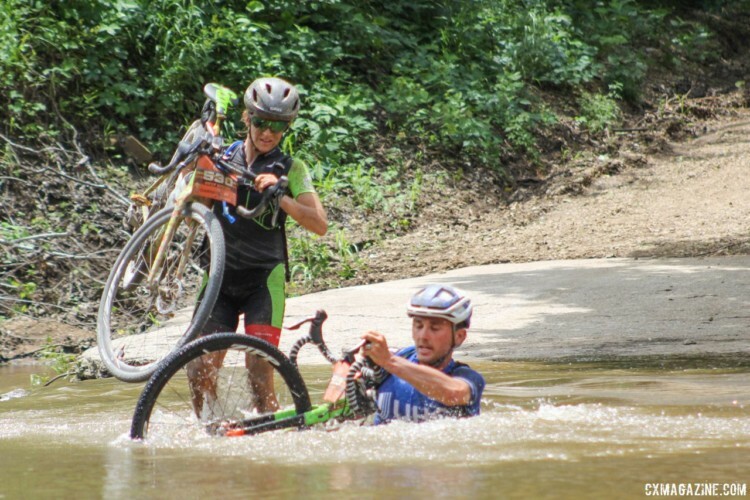 With the biggest climbs concentrated in the first half of the course, one of the most interesting course features in the second half was a shallow mile 130 crossing of Walnut Creek at Rocky Ford. Nauman took over second from Tetrick shortly before the crossing and after she made it through, she was only five minutes behind the leader Keough. However, as Nauman commented after the race, that five-minute gap would be the closest her or Tetrick got to the leader. 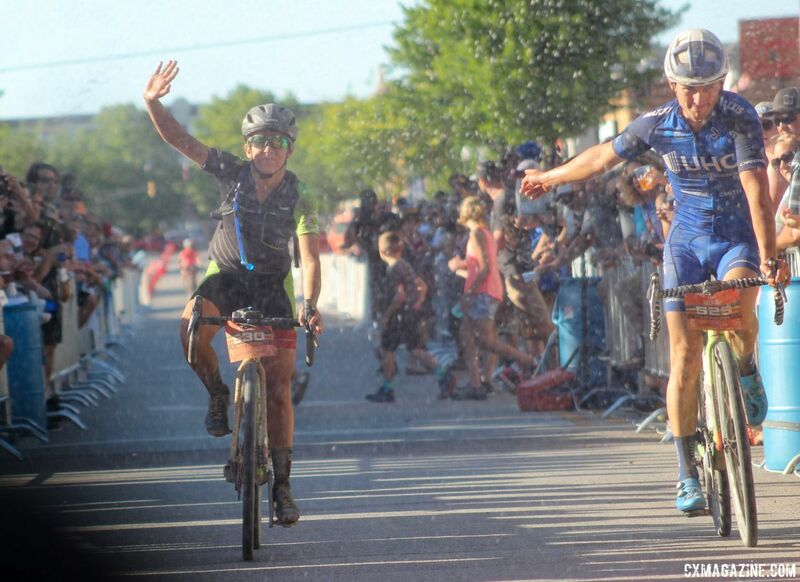 When Keough pulled into Checkpoint 3 in Madison alongside Luke, her lead was 12 minutes on Tetrick with 50 miles to go. 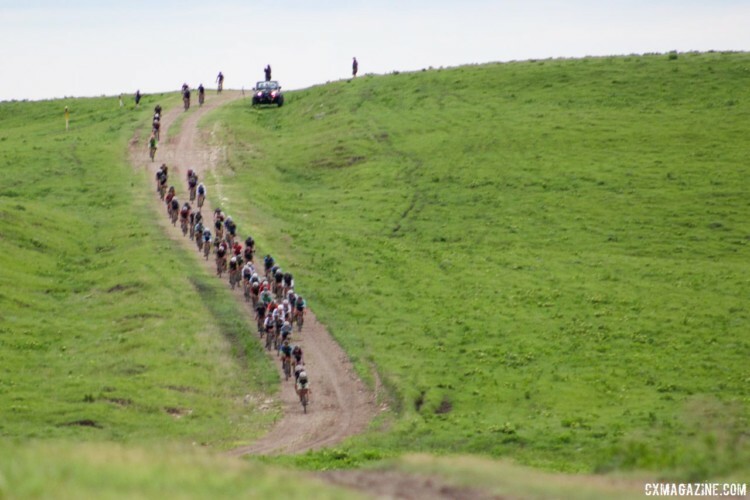 Still, the last quarter of the race featured a long, straight slog into the headwind, and as so many riders find out at every Dirty Kanza, the gravel gods in the Flint Hills do not discriminate, whether a rider is the race leader, someone racing the sun or an athlete just hoping to finish the 206-mile trial of endurance and grit. 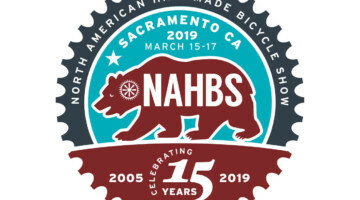 Keough rode the last 50 miles clean and hit the finishing stretch of welcome Commercial Street pavement to soak in the cheers of the hundreds of fans and riders assembled at the barriers. 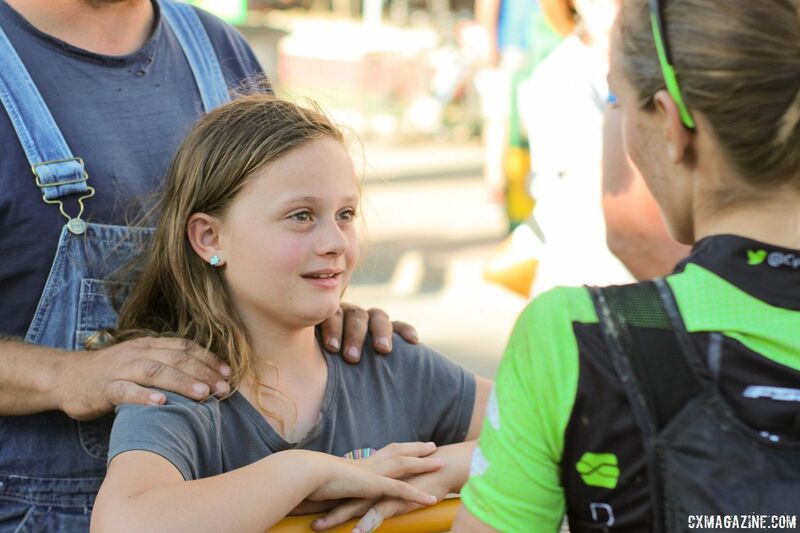 Her Cannondale team and supporters provided a welcome champagne shower as she crossed the line in a little over 12 hours to take the crown as the 2018 Queen of Dirty Kanza. The last 100 miles turned into a game of leapfrog, of sorts, for the two women who battled for the 2017 crown. Tetrick re-gained second position by Checkpoint 3, then Nauman went ahead, then Tetrick. Nauman took over second for good in the race’s waning miles and came across the line in 12:28 to take home her second straight DK200 silver. Tetrick finished third, less than three minutes behind Nauman. Takeshita followed close behind Tetrick to take fourth and Kaysee Armstrong rounded out the wide-angle podium in fifth. 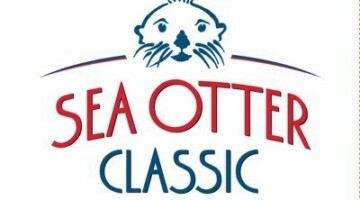 Stay tuned for the Men’s race report. 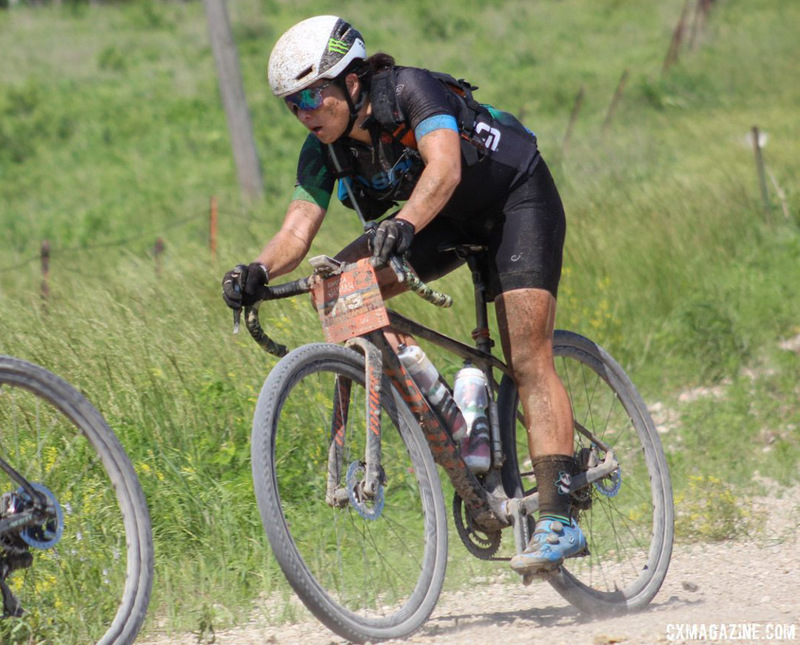 For more from Emporia, see all our 2018 Dirty Kanza 200 coverage. I wonder if I’m the only one wondering if it’s just a coincidence that all the pics here of Kaitlin Keough show her drafting behind her husband, current pro cyclist Luke Keough? Not trolling, but I can’t help thinking that’s not really in the spirit of things, particularly in light of the significant headwinds in the 2nd half. It would make a real difference having a designated locomotive to draft off for most of 200 miles. If the other women in the race aren’t bothered, then maybe I’m just out in left field. 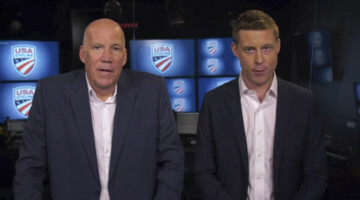 Otherwise, maybe the Keoghs should look in the mirror and ask themselves if that tactic was quite kosher. Kaitlin Keough here. 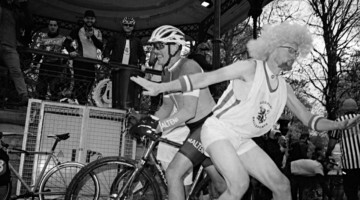 I stayed with the lead group for the first 75 miles. I was the only woman to be able to hang onto the lead group for that long & that’s where I got my gap. None of the other women in the race could hold that pace & were also riding in groups. After that, I was with the second chase group until mile 104. After that, my husband and I rode together because we wanted to experience DK together. I rode within the rules and enjoyed the day. Happy riding!!! Hey Kaitie, that’s cool, thanks for your reply and clarification. Congratulations on the win, and good luck going forward. Fair observation, Ben! Thanks for your comment! Well, I just kinda wondered about it. Seemed a little excessive, but I wasn’t there myself. Anyway, congratulations on your placing! No Ben, you are not the only one wondering.